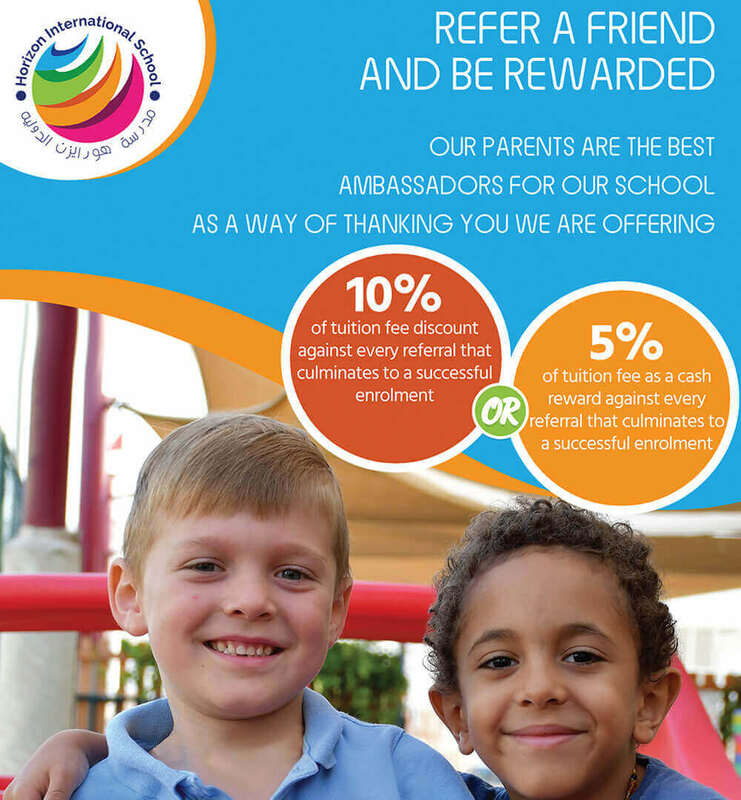 Parents can recommend Horizon International School to family, friends or colleagues. For every successful child that enrolls the recommending parent will be rewarded with a discount on the annual tuition fee of their own child, or alternatively they can take a cash payment. The reward is a one time concession and will be awarded after the new child has paid the first term’s fees.